I'm at a pirate festival ? I haven't left yet, but I just had a spectacular day in Pittsburgh. Node-gyp compiler I cant figure out. Spent last night putting together mood boards and mocking up some nonsense, but I think I just need to do the art on the cheap and maybe find an artist to team up with later. this is where I am, there is a really nice rhythm to the combat, it kinda reminds me of the crowd scenes from enter the dragon or something. 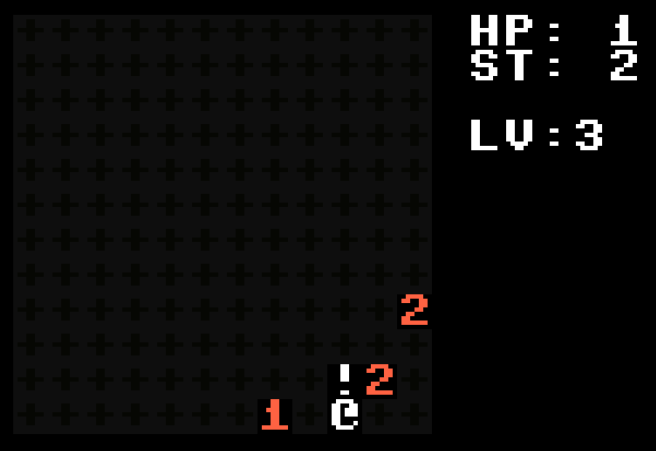 has a bunch of the hoplite style momentum as well, there is leaping and spinning and shoving and stabbing. Just had a good jam session with my two yo on a synth I just have on the breadboard. He kept pulling the knobs off, but to be fair, they aren't connected very well. Listening to Merzbow - pulse demon (full album) on youtube, and it keeps cutting to Walmart ads that have a little ukelele jingle and VO about planning for the perfect party. lol, yeah, sure spotify whatever, I'm just not living that life. did you know that you can make leather out of toads? Did you know that you can make a bag out of that leather, and then put little googly eyes in it, and put it on my desk, and I can look over into the shocking horror of an UNEXPECTED TOAD BAG? My pet peeve: people saying "fake" in the context of games. ITS ALL FAKE. Npr had a thing on Lego this morning, and the host did the wrong name evry time, and the interview subjects got it right evry time. ugh, I don't think I can actually do 31drl for this months fun a day. every time I think about it, I just lose all motivation - even though I have fun once I got started. Gotta figure out something lower friction.